For more than a dozen years, the last week in January has been a sweet spot for many ClubLink Members looking to break up the winter with some desert fun and sun. 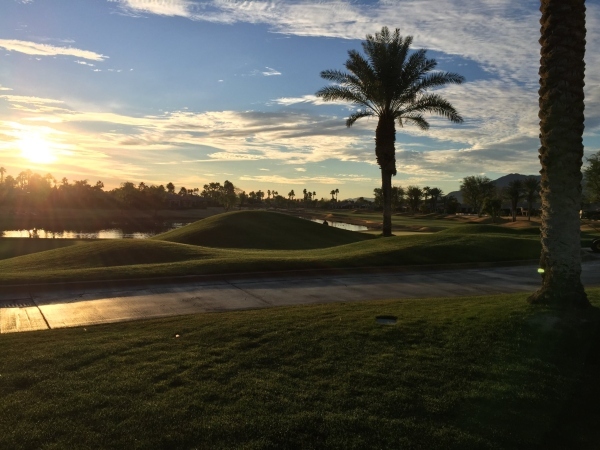 Last week was no different as 96 participants once again settled into the charm and history of the La Quinta Resort & Club for four days of golf at three PGA West courses, including the famed Stadium Course and its island green 17th appropriately nicknamed Alcatraz. Just a few days after Adam Long outlasted Phil Mickelson and Canadian Adam Hadwin, our ClubLink International Pro-Am headed out on a few of the same courses – albeit from different tees and with different results! Here’s an interesting tidbit – this year’s Desert Classic champion, Adam Long, shot 63 on Stadium Course. Our best four person team as taking their best gross score per hole shot a 68 at the Stadium Course from 1000 yards closer. The Stadium Course is unbelievably challenging. The reward was, however, that these courses were still in Tour condition. The weather was perfect and that charming old resort was certain to relax any jangled nerves coming back from a tough day on one of Pete Dye’s stereotypically challenging layouts. New York has the Hamptons, Toronto has Muskoka, and LA has the Palm Desert. A two hour drive from Los Angeles, Palm Springs and the entire Coachella Valley have long been the getaway for the local LA crowd. The Hollywood rich and famous have been making it out to the La Quinta Resort since 1926. It is indeed a step back in time and the few rookies to the event this year learned quickly why this resort has been the host site for us for so many years. And, for the veterans making it back to La Quinta, that same old simple desert smile made its annual five day appearance again. As the saying goes – good times. Despite all the history, the field continued making strides into the future with new Rules of Golf to absorb, and our second event with dedicated online scoring through the Golf Genius app. Daily team scores, daily individual blind pairs, aggregate team and blind team pairings, daily skins and closest to the pins – all went smooth and ensured there were many prizes sprinkled across the field. Thanks to our Members and golf professionals who joined us for the week. It was great to see multiple teams from Cherry Downs (one of which eventually won the team competition), Wyndance, Caledon Woods, Glencairn, Glen Abbey, and RattleSnake Point. Special shoutout to Muskoka who could have run their own event with four teams! Also, thanks as always to Michelob Ultra, WestJet Airlines, and Merit Travel for sponsoring this great trip. Vince Di Risio, John Pease, and Jeff Knuth continue to make certain their fellow Members have access to wonderful opportunities year-round. The golf courses were beautiful, the competition was fun, the resort was smiling as always, and now that this year’s event has slipped into history, we’ll be back to the desert to do it again next year.